As we know, Filmora Video Editor from Wondershare is simple yet powerful video editing software for both Windows and Mac users. The intuitive and user-friendly interface makes it very easy for everyone to use, even for those novices. With the tool, you can do the basic actions like cutting, trimming, cropping and editing videos in just a few minutes. Besides, it also supports lots of video file formats and provides hundreds of amazing effects and transitions. However, Wondershare Filmora also has its drawbacks and limitations. For example, the rendering of transitions and effects applied to the video clip is slow. You cannot change the aspect ratio of the video clips. It takes a little long time to install the software. And the watermark in its trial version is pretty bigger compared with similar products. Therefore, we’re going to introduce 5 best Filmora alternatives to edit videos for anyone who want a replacement for Filmora on Mac or PC. Joyoshare Media Cutter is one of the best Wondershare Filmora alternatives. It is a smart video cutting tool that enables users to cut any video or audio without any quality loss in a fast speed. Additionally, you can also join the video clips together to create a new one. 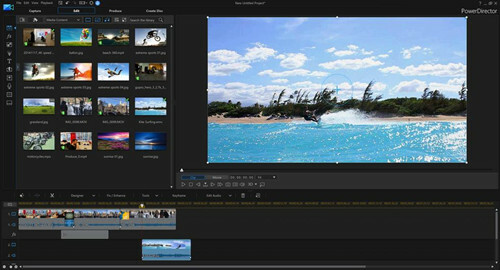 Moreover, Joyoshare Media Cutter also offers multiple video editing features to help you make stunning videos, such as trimming, splitting, cropping the video clip, rotating or flipping the video, changing the aspect ratio, applying special sound and video effects, embedding subtitles, texts, watermarks, etc. 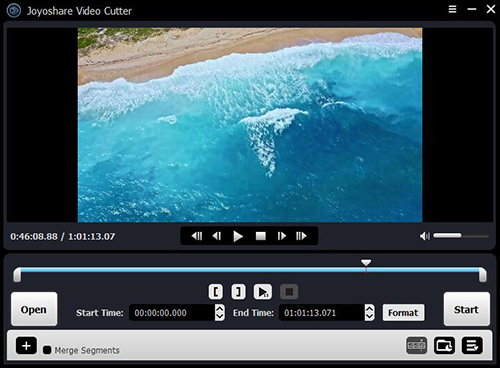 Joyoshare Media Cutter supports a wide range of input and output file formats such as MP4, MKV, AVI, MPG, MPEG, 3GP, 3G2, MP3, M4A, AAC, AC3, OGG and many more. You can also export the edited video onto various popular devices for viewing later like iPhone, iPad, Android smartphones, Xbox, Samsung TVs, etc. Alternatively, you can directly share your video to the social media platform like YouTube, Facebook and Vimeo, etc. Another good Filmora alternative introduced here is PowerDirector from CyberLink. This is a consumer level video editing program with "easy editor" and "full editor" modes provided. 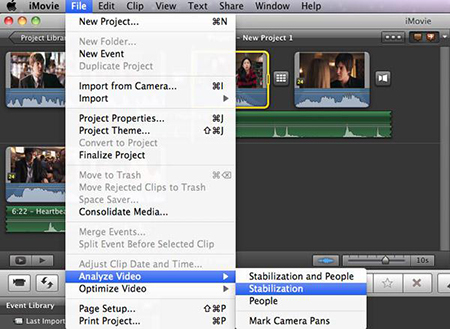 With the program, you can easily trim, split and combine the video clips within a few steps. You’re also allowed for multicam editing, with up to four different camera angles. What’s more, it offers many special features such as color matching, zoom and panning effects, motion tracking, freeze frame and so forth. Similarly, PowerDirector also provides the capabilities to share the video the web such as Facebook and YouTube, etc directly. iMovie is an entry-level desktop video editing software for Mac and iOS, developed by Apple. It is possible to start editing videos on iPhone or iPad and then finish it on your Mac. You can even share your polished video to all your Apple gadgets. It is a simple movie maker that enables you to create a stunning video in a few steps only. iMovie now supports 4K-resolution video, as well as other useful tools such as high-fidelity filters, studio-quality titles, extra special effects, soundtracks and more. If you are looking for a Filmora free alternative, then Kdenlive must be a nice choice. 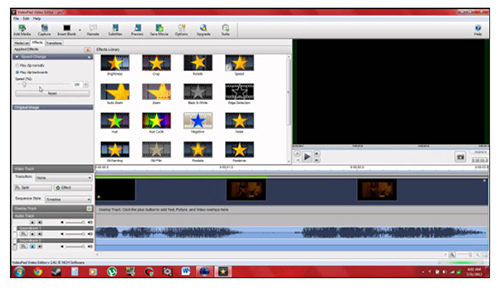 Kdenlive is an open source, full-featured video editing freeware, available for Linux, FreeBSD and Microsoft Windows. Kdenlive supports multi-track editing and unlimited audio and video tracks in timeline. With it, you have ability to create, trim and delete video, audio, text and image clips and then save the video in any format you desire, such as AVI, WMA, MPEG, Flash video and others. The program also provides tons of special audio effects, video effects, filters and transitions, like normalization, equalization, blue-screen, rotations, blurring and so on. VideoPad is a versatile video editing app that anyone can use to create high quality movies in minutes. Just drag and drop the video clips to the program, edit the video according to your needs and then export the video to portable devices or online. The programs supports a variety of input and output formats including avi, mpeg, wmv, divX, Xvid, HD-DVD, YouTube, iPod, PSP, etc. VideoPad offers lots of wonderful video effects and transitions, stunning audio tools, and complete video optimization. The above are just some reliable programs like Filmora recommended here, and of course there is much more similar software in the market. You can find one from these alternatives discussed above to fulfill your needs. Remember that a full featured program with reasonable price will be the most suitable one.